Home / Magazine / / Why grow from seed? Seeds come in all shapes and sizes. 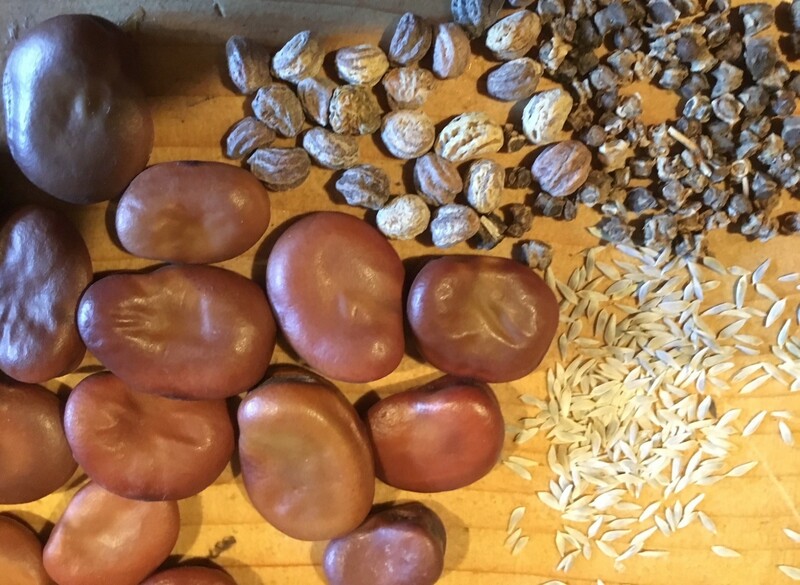 Jean Vernon explores the wonder of seeds. Growing plants from seeds is one of the most satisfying parts of being a gardener. It’s sometimes surrounded in mystery and perceived as something difficult, but take a look in nature, any bare patch of soil and you will see that seeds germinate outside all of the time. We call them weeds, but invariably these plants are wildflowers or garden escapees just trying to survive. But that’s not so important, what you need to understand is that seeds ‘want’ to grow and that in nature, without our intervention and will all the wild weather that is thrown at them; seeds can, will and do grow. As far as I am concerned seeds are one of the most magical things in nature. Each one contains all the information of its parents and will grow into a similar plant from a tiny grain or time capsule. Think of the acorn and the giant oak it will eventually grow into, that’s an extreme example as the resulting oak seedling takes many years to become a mature tree. Many of our garden plants are annuals, which means that they germinate from the seed, grow, flower, set seed and die over the course of a year. Even that’s pretty incredible when you think about it. Think of a seed as a fertlised egg, ready to develop into a chick. A seed is similar; it contains the genetics of two parents, from the pollen of the male flower parts and from the plant embryo from the female plant parts. The two come together during pollination that is effected by insects or the wind placing the pollen onto the stigma of a plant’s flowers. The seed then forms on the plant and ripens until it is ready to disperse. Seed can be coated in a hard shell or even inside a nut, these coatings act as a protective layer that keep the precious embryo inside safe until it’s the right time to germinate. It’s got everything inside it that it needs to develop and grow and break out of its protective covering. Just like an egg it needs certain conditions to germinate (hatch). While the parent birds will incubate the eggs before they hatch continuously for a few weeks, the egg needs to be at exactly the right humidity and warmth to hatch and the parent birds turn the eggs regularly so that the chicks develop correctly. Seeds too need certain conditions before the first seed leaves break out from the seed. Generally a seed needs warmth and moisture to germinate, though some have more specific requirements, such as a period of cold first, before the warmth, to mimic the end of winter and the start of spring. The whole point is that the seed germinates at just the right point in the calendar when the weather is conducive for its growth. When you buy a packet of seed it comes with some sowing instructions and for the best results you would be well advised to read them and note the best time for sowing and any special requirements for your seeds of choice. Some need light to germinate, others need their seed coats breaking or softening, but most are really easy and just need sowing thinly into good quality seed compost. 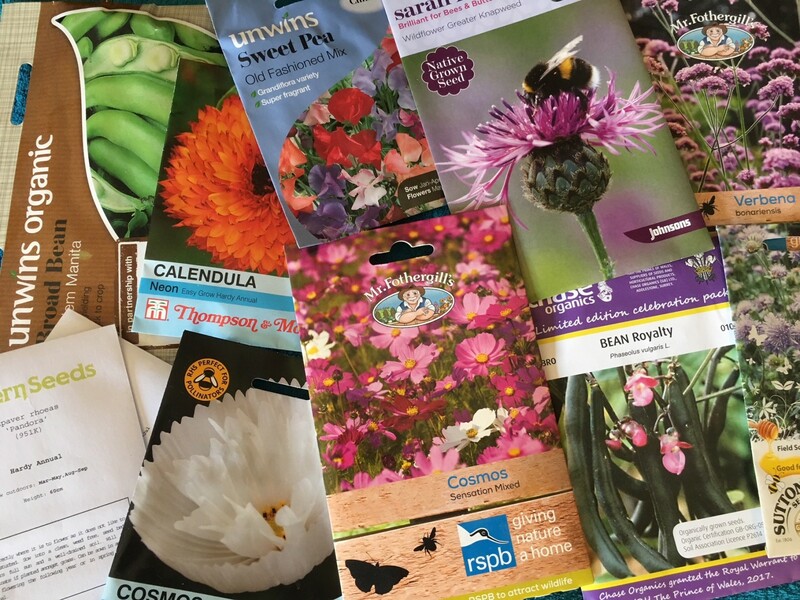 Apart from the satisfaction and magic of growing your own plants from seeds, packets of these little time capsules are actually the most cost effective way to fill your garden with flowers, herbs and vegetables and even some fruit. One packet of seed can produce hundreds of plants, great if you are on a budget and you can share the seeds or plants with friends and family too. Sometimes the plants we want to grow are rare or harder to find, or expensive, and often the seed is easier to obtain and gives you a much greater choice of plants to grow. Take tomatoes for example, if you buy plants from a garden centre there may be five varieties to choose from. But if you buy seed and search for the more unusual and heritage varieties there are literally hundreds. Sowing from seed is a great way of obtaining some very interesting and sometimes rare plants.